Samsung Mobile is overhauling its line-up of premium phones for next year, preparing to launch its first 5G-capable smartphone, a cheaper flagship model and a foldable-screen device to challenge Apple Inc. and stay ahead of Chinese rivals. The company is in talks with Verizon Communications Inc. to launch its Galaxy S10 in the U.S. with a 5G wireless chipset. The goal is to secure support from the biggest U.S. carrier to popularize the technology. Samsung has embedded a fingerprint sensor under the display of its S10, overcoming years-long challenges of mass-producing such a device. They will launch three versions of the flagship model, including a more affordable version to appeal to the widest range of consumers. While Samsung already has a line-up of cheaper “A” models, the move signals the company shares Apple’s concern over Chinese rivals such as Huawei Technologies Co. and Oppo that continue to win customers by offering premium models at lower prices. The standard S10, codenamed “Beyond,” features an OLED screen curved on sides, round-shaped corners and almost no bezel at the top and bottom. It will be about the same size as the current 5.8-inch S9 model. The S10 has three cameras on the back while the front camera is visible and tucked under the screen. Samsung also plans a bigger “plus” version for next year. The cheaper version of the S10 lacks the dual-curve “edge” screen that has been a hallmark of Samsung’s premium phones since the Galaxy Note Edge in 2014 and may come without a fingerprint sensor under its display depending on costs, they said. Samsung is also toying with an S10 prototype without a headphone jack, similar to Apple. The S10 will come pre-loaded with Google’s Android Pieoperating system, they said. Samsung's leadership in shipments is under challenge from Apple and Huawei. The bendable display has an extra four-inch screen with a fingerprint sensor on the outside and allows users to enjoy basic features -- like checking emails and messages -- without having to flip it open. The foldable display does not have a fingerprint sensor like the S10, due to unidentified technical difficulties. The screen opens with a snap like once-popular flip phones such as Motorola Razrbut with a smoother feel. It is coated with a film that feels like ones used in photography instead of glass, which has created concerns at Samsung that it’s not as glossy as some consumers favor. The prototype weighs more than 200 grams because it has bigger screens than any other phone on the market, meaning Samsung may have to reduce the battery size in order to make the device lighter. While the hinge has recently passed internal tests of folding more than 200,000 times -- the threshold for durability -- there are still questions about its yield in mass-production. Samsung and Google have been working on developing a special version of the Android operating software for the phone, whose final user interface will depend largely on which of the two designs is chosen, one person said. Samsung may not be able to launch it commercially until the second quarter. “Samsung really needs to hit it out of the park on the next one, especially since the S9 and Note 9 have been such yawners,” said Bryan Ma, vice president of devices research at IDC. “A foldable would garner bragging rights, but I wouldn’t expect it to be an immediate hit.” The pressure to be the world’s first to roll out a mass-market bendable device has been mounting on the South Korean company but with Royale’s announcement, the pressure is relieved. Still, the ongoing development is pushing Samsung to unveil a physical model of the foldable phone at the Samsung Developer Conference in San Francisco next month. A team of engineers plans to accompany smartphone division chief DJ Koh to the event to present a detailed conceptual image of the phone, its features and user interface and perhaps a prototype. Samsung is also attacking the lucrative image sensor market dominated by Sony. 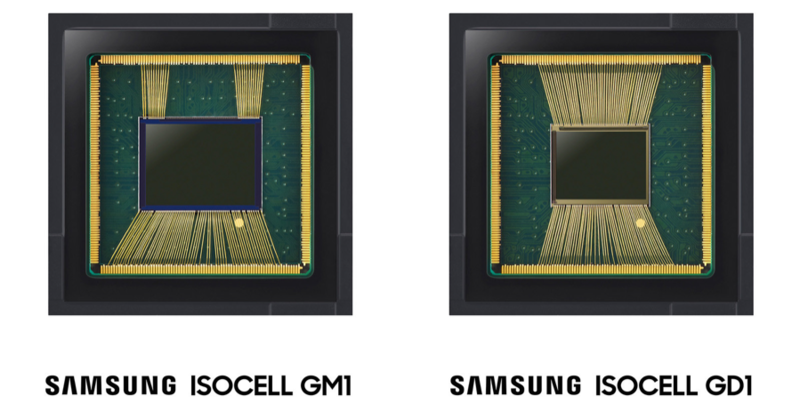 It has unveiled a pair of very interesting sensors aimed at multi-camera smartphones, the 48-megapixel Isocell Bright GM1 and 32-megapixel Isocell Bright GD1. Both have pixel pitches of just 0.8 micrometers, letting Samsung pack incredible resolution into chips that are small enough to be used in multi-camera smartphones without bulking them up. At the same time, Samsung said its Isocell Plus technology allows for decent performance despite the small pixels. And if a lower resolution (12 and 8 megapixels for the GM1 and GD1) is selected, it will deliver low-light sensitivity equivalent to a pixel four times the size. Normally, the larger the pixel, the better a camera is in low light, so this setup would give both resolution and low-light capability, much like with Huawei's recent P20 Pro. Other features include real-time high-dynamic range in the GD1 for richer colors in high-contrast or low light environments, and gyro-based electronic image stabilization. The latter is used on phones like the original Google Pixel and Essential phones, helping stabilize video (but not photos). Samsung said that the new sensors should go into production in the fourth quarter this year, which (checks calendar) we're right in the middle of. Considering that Samsung's next-gen Galaxy S10 will probably arrive in February of next year, as usual, that means there's a good chance it'll have the new sensor. Samsung is one of the few brands that hasn’t fallen prey to the ‘notch’ or ‘sliding module in a display’ trend that is being seen in a lot of Chinese smartphones. One of the reasons Samsung phones haven’t used the notch design is because the team is focused on making the size of the bezels smaller while ensuring that the phones can still be held easily in the palm. Another area of focus is to not give up on the services being offered, which would have to be optimized for a display with a notch. According to Harksang Kim, head of Mobile Visual R&D at Samsung Mobiles, “We try and push the bezel as further up as we can. But it’s done ensuring that none of the services we offer are compromised in any way. As consumers want more display real estate we are trying to fulfill that in multiple ways, which you will see in our future models.” “While QLED offers a lot of benefits, there are critical issues incorporating it inside a smartphone,” said Kim. In a QLED setup, more quantum dots results in better color reproduction. As smartphone displays have a high dpi resolution, it is difficult to have a large number of quantum dots packed in that small an area for accurate color reproduction according to Kim. On the other hand if one is too aggressive with adding more quantum dots, then the power efficiency is affected. So it looks like they are still years away from seeing a QLED display sporting smartphone.“The idea behind having multiple rear cameras is to offer our customers features that are there on DSLRs, which is a kind of benchmark we look at,” said Kim. By that he meant giving users a choice of lens with different focal lengths to capture different styles of photographs. For instance, in the Galaxy A7, we get a regular camera module, a zoom lens and an ultra wide-angle lens, which reflects that aspect of switching lenses on a DSLR for a particular kind of photograph. This camera module is not part of the flagship series, but the mid-range A series of devices. The implementation of the three-lens module on the A7 is reportedly quite decent. There’s room for improvement, such as offering a touch to focus option for the ultra wide angle lens as well, improving low light photography, among other things. “We are studying the actual use case and benefits of having these multiple camera modules. We plan to expand this technology to other series of products as well,” said Kim. Kim also mentioned that the camera will not only be used for capturing high-quality images but with the proliferation of AR, it will be used as a means of communication too, which raises a question of whether the upcoming Galaxy S10 will have more than two cameras on the rear?